Pricing: $80-$90 per month for regular boarding. $40 per month cria Birth-6 months of age. $120 for 'special'' medical care boarding. Cria birthing for boarders is INCLUDED! We will not 'nickel and dime' our boarders. Ever. We consider you part of the TEAM and appreciate all that our boarder/owners contribute. 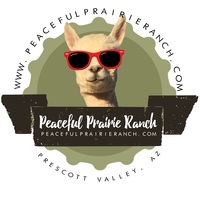 We welcome you to contact our references listed below (past and current boarders are listed) to discuss how easy it is to board at Peaceful Prairie Ranch. Regardless of where you decide to park your alpacas BE SURE TO CONTACT REFERENCES. *Must love dirt, sometimes mud. *Must love farm messes ... like fiber projects everywhere! 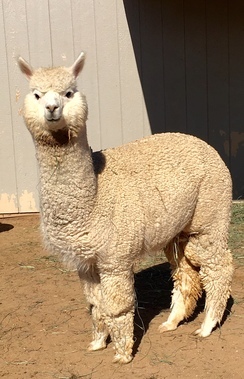 *Must have alpacas sheared annually, as we do not want animals with heat stress in summer! If that sounds good to you, then we may be your place! 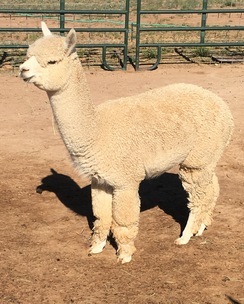 We are Mile-High elevation in Prescott Valley, Arizona and enjoy 4 seasons, and cool temps with warm days just like the alpacas native home on the Altiplano. We have some snow in winter. We have mud at times. We have dry dirt the rest of the time. That's great for easy care and lack of parasite issues with the animals. That's not great for grazing. We feed Colorado grown Orchard grass hay. We add in pellets and alfalfa where needed. 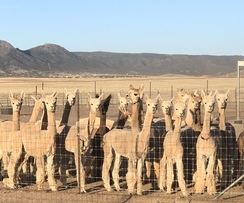 Along with the best free-choice mineral blend (Stillwater 104) in each pen, we will add alfalfa as needed and alpaca pellets (Nutrena Alpaca and Calf Manna sometimes) as needed for extra nutrition for growth, gestation and lactation. We fully understand a fat alpaca is not a good or healthy thing - and we strive to keep body conditions of 4-6 on a 10 scale. We eyeball every single alpaca daily and know our herd very well. Just ask for references! We will do anything necessary for any alpaca here. We attend continuing medical education annually and Wendy is certainly known for a vast base of knowledge when it comes to alpacas. We don't fuss 'too much', or employ old wives tales. Medicine needs to make sense... and we certainly know when to call on the awesome team of large animal Veterinarians at Prescott Animal Hospital - Equine Center. We have an awesome Vet relationship and resource very close by.